Today’s forecast for Erangel is spicy with outbreaks of banter and light showers of armoured vehicles, as the ‘Metal Rain’ event mode returned to Playerunknown’s Battlegrounds this morning. Running for three short days, it features eight-player teams and lets us find flare guns to call in supply planes dropping either a family size care package or an armoured UAZ. 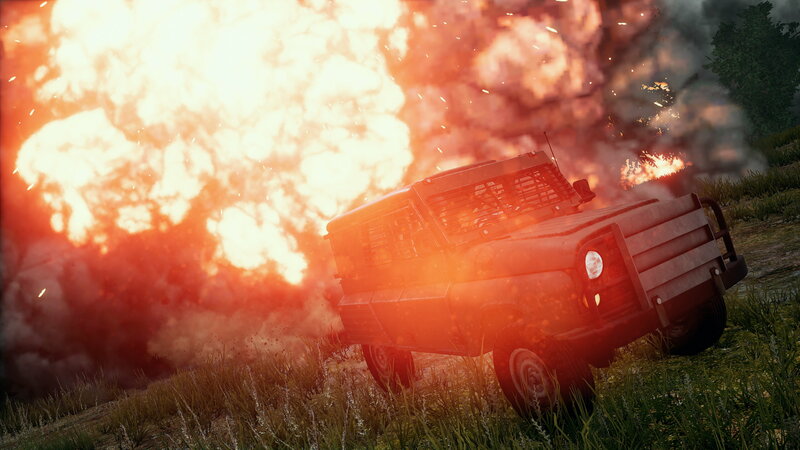 As for other newness, remember that everyone can now create Custom Matches on the main client, tinkering with settings or playing Zombie mode.Metal Rain’s fanciest twist is adding flare guns which, if you find one and fire it into the sky, can call in a plane to drop an armoured UAZ or a care package with enough loot to kit out several players (a UAZ if you’re outside the safe circle, package if inside). The flares are obvious markers as they hang in the sky above the future drop point, sparking little skirmishes in advance. I say little, I mean pretty big, what with teams of up to eight players and all. I do enjoy the larger team sizes in certain event modes, and especially when fights are provoked by objectives like big drops. I dig it. Big fights forming up around drops are fun, and Metal Rain mode has so many which are so obvious. And the armoured UAZ is so beefy that I’ve never felt safer in the red zone. Not that anyone has ever died to the red zone anyway. Certainly not me. I don’t think it’s even possible. And definitely not when driving a Dacia full of lads who I assured seconds earlier, “No one has ever died to the red zone.” Can’t be done. Metal Rain has changed a little with its return, this time dropping flare guns in random loot locations rather than fixed spots. That shifts the focus of fights a little, which is good. And the map screen now shows indicators for what your flare will call in, and how many of each drop are left. The Metal Rain event mode will be available until 3am on Monday the 23rd of July (which is 7pm on Sunday the 22nd for our friends in the Pacific timezone). As for Custom Matches, yes, everyone can now create them, as this week’s test server stretch has ended and they’re open on the main client. Before this privilege was granted to a lucky few for reasons unknown, and Custom games were often private. Now we can all create ’em, tinkering with settings like playercounts, team sizes, and Zombie mode. 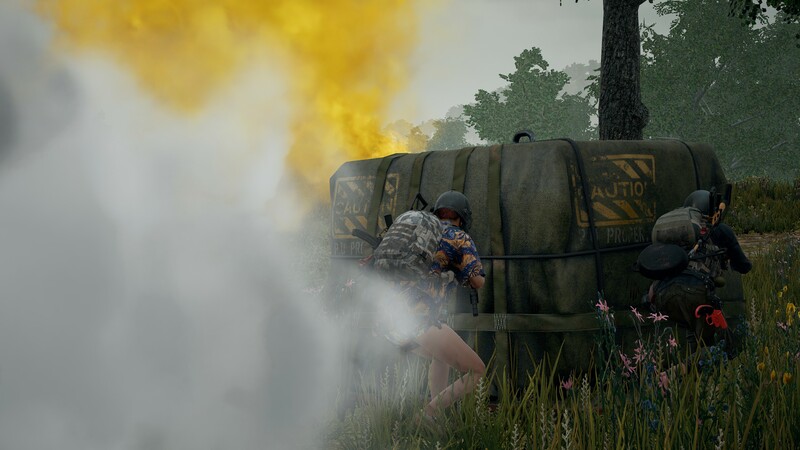 Custom Matches are still formally in “open beta,” mind, and developers PUBG Corp have not ruled out the possibility of adding a charge to create them. They’re resource-intensive doodads, y’see.